Are you ready to share the love with some fabulous chocolates, cards or other sweet projects? 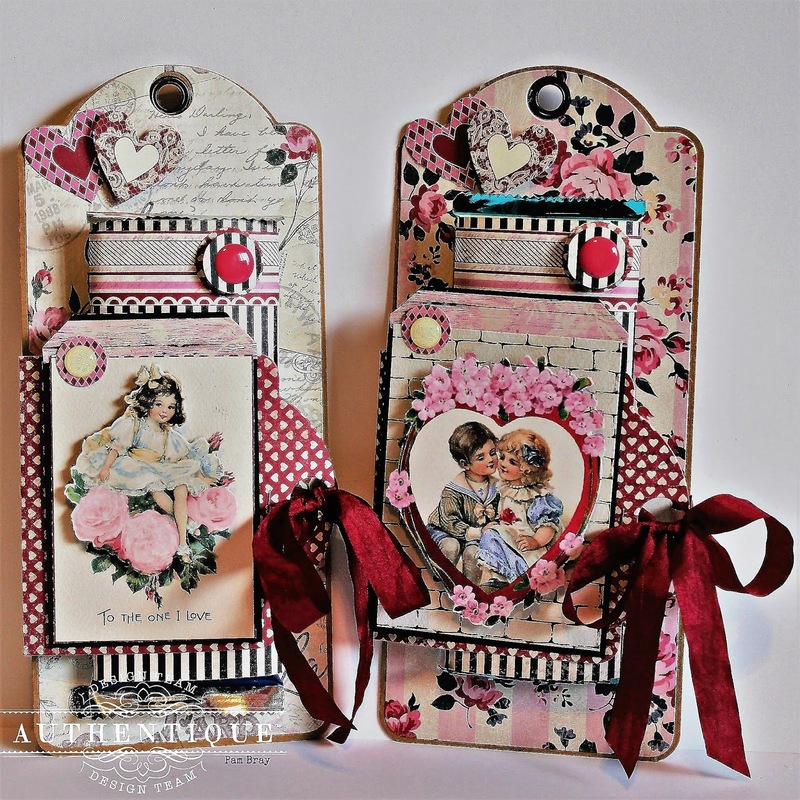 Do you need to still get a few fast Valentine projects together! Join the Authentique Design Team as we share some last minute Valentine Love with our fans today! Grab your favorite candy bars! Die cut two sizes of tags from Authentique Romance Collection. Adhere pattern paper to top of larger tag. Wrap candy bar with Authentique Romance pattern paper; adhere to top of larger tag. Score smaller tag at the 1 1/4" and 1 5/8" marks. Adhere scored tag behind larger tag. 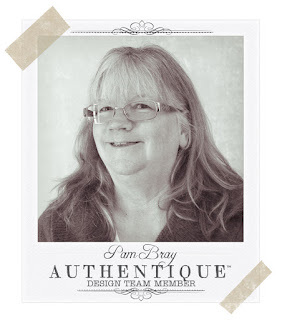 Create smaller tags using Authentique Romance Epherema Cards and border strips; adhere to black card stock tag. Adhere ribbon on back; adhere Authentique Romance pattern die cut tag over top of ribbon. Add fussy cut Romance Ephemera images to top of smaller tags with pop dots. Add small hearts to top of tag. A few circles from the pattern paper and enamel dots. Finish by adding ribbon to scored tag and tie closed. I hope you recreate your very own Candy Filled Valentine Tags! Candy Filled Tags are fabulous all year long as a wonderful gift idea! Time to Share Some NEWS!! !